Cotswold Conservatory Kit with coloured top windows, fully 'glazed' and quickly assembled. 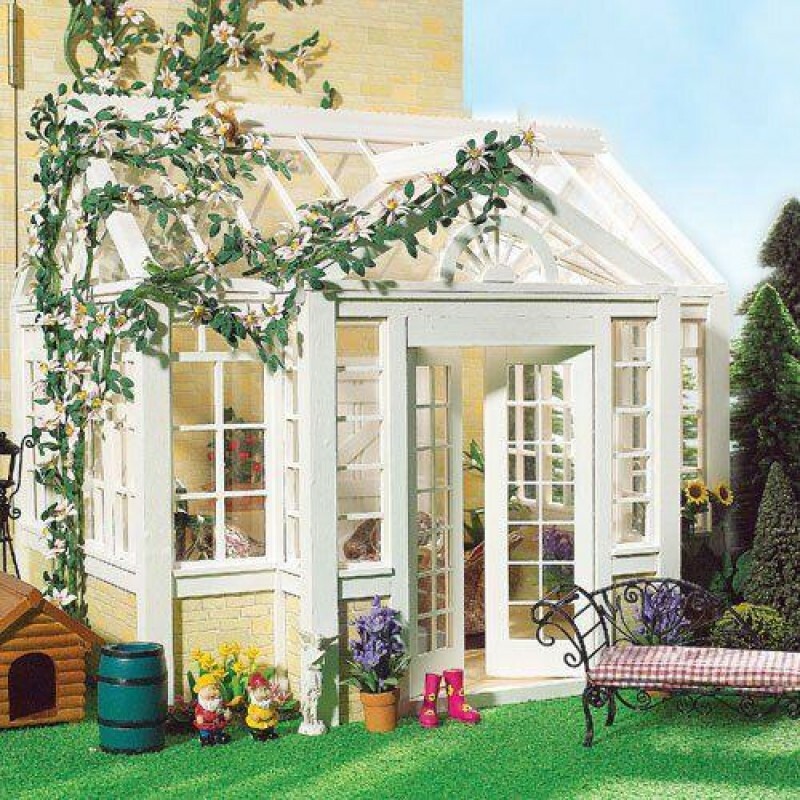 This elegant Cotswold-style conservatory will add much needed space to expand your collection in style. In seven simple steps your conservatory will be ready for a stunning garden room. This is an unpainted kit.